Hospitality Trust (SGX: Q1P) (A-HTrust) is a stapled group comprising Ascendas Hospitality Real Estate Investment Trust and Ascendas Hospitality Business Trust. The group invests in and manages a portfolio of hospitality properties across Asia Pacific. The author attended the trust’s most recent AGM to find out more about its prospects in the face of a weakening global economy and flat tourism sector in some countries. A-HTrust’s portfolio comprises 11 hotels across seven cities in four countries – Singapore, Australia, China, and Japan. The trust’s entire portfolio is worth $1.5 billion – an increase of 11% year-on-year. Australia accounts for the largest proportion at 41% but the trust’s exposure down under is spread out evenly among six properties. The trust’s largest property, Park Hotel Clarke Quay in Singapore, accounts for 21% of the portfolio. A-HTrust’s current yield is 7.55%. The figure is near the trust’s historical low yield in 2015. Its historical high yield is 9.22% in 2013. Gross revenue and net property income (NPI) increased in same currency terms but decreased 5.3% and 2.7% respectively in Singapore dollar terms. This was mainly due to a weaker Yen and Australian dollar. Australia accounted for the largest proportion of NPI at 54.5% while Japan saw the largest increase in NPI year-on-year at 13.2%. Master leases accounted for 37.5% of NPI. The management revealed it aims to have master leases account for at least 50% of NPI for longer-term stability. Distribution per stapled security rose 6.9% year-on-year despite 5% retention of income by the trust. The increase was mainly due to a $2 million contribution from the divestment proceeds of a property – Pullman Cairns International. Average occupancy rates, average daily rates and revenue per available room (RevPAR) were all largely flat year-on-year in Australia and China. Only Oakwood Apartments Ariake Tokyo in Japan saw a large increase in RevPAR year-on-year at 23.3%. The rest of the trust’s properties are anchored by master lease agreements. A-HTrust’s gearing ratio decreased to 32.7% from 37.2% a year ago. As far as possible, the trust aims to borrow in the local currency where its properties are located to achieve a natural hedge. So for example, Australia accounts for 41% of the portfolio and, accordingly, 42.5% of the trust’s debt is in Australian dollars. To minimize exposure to interest rate volatility, 91.2% of borrowings are at fixed interest rates. Australia and Japan are seeing steady growth in international tourist arrivals. Australia saw 6.9 million tourists visit the country in 2015 – an 8% growth from the previous year. Japan saw even better numbers with 19.7 million tourists – a 47% growth from the previous year! International arrivals in Japan are forecasted to reach 40 million in 2020 with the Olympics being held in Tokyo that year. On a side note, one shareholder remarked that he thoroughly enjoyed his stay in one of A-HTrust’s recently refurbished hotels, Hotel Sunroute Osaka Namba, and recommended everyone to give it a try if in Osaka. Singapore and Beijing’s international arrivals remain flat. Singapore only saw 1% growth in tourist arrivals in 2015. While the flat tourist numbers will drag the trust’s performance in Singapore, Park Hotel Clarke Quay is anchored by a master lease with a high proportion fixed income paid to the AH-Trust. Beijing’s international arrivals have been falling from 5.2 million in 2011 to 4.2 million in 2015 – one of the reasons being the city’s bad air pollution. However, China’s domestic travel remains robust; 269 million domestic travelers visited their country’s capital in 2015 which has been growing at 7% per annum since 2011. A-HTrust has partnered with NASDAQ-listed Chinese hotel operator Huazhu Hotels Group to operate the trust’s Beijing hotels and tap on their local experience and knowledge in the Chinese market. Huazhu manages/operates over 2,700 hotels in 352 cities in China and has over 49 million members in its loyalty programme. CEO Tan Juay Hiang mentioned that Ibis Beijing Sanyuan has gotten good traction from Huazhu’s loyalty programme and is expecting good results from the partnership moving forward. In November 2015, A-HTrust announced that it received an expression of interest from an undisclosed party to acquire the entire trust. The management hired appointed a slew of advisors – JP Morgan, Wong Partnership, KPMG Corporate Finance, and Ernst & Young – to provide financial, legal and tax advice on the viability of the proposal. In the end, the board decided not to proceed with the transaction because they believed it was not in the best interests of shareholders. One well-known local activist investor was not impressed and questioned why so many high-powered advisors were needed to consider a non-binding expression of interest and which party bore the cost of the advisors. The CEO replied that the cost was borne by the trust. Another shareholder pressed to know the total costs involved and the CEO revealed that it was the region of $600,000. A number of shareholders then voiced their displeasure with the board that so much money was wasted for an exercise that eventually amounted to nothing. Our activist investor asked why the trust decided to structure itself as a stapled security: a REIT and a business trust. 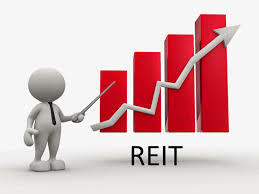 He pointed out that there are tax benefits for REITs – when a REIT pays out at least 90% of distributable income to unitholders – and questioned why A-HTrust would place only two hotels under its REIT and the other nine hotels under its business trust. He carried on to say that most stapled securities use a business trust to undertake property developments (where REITs have a limitation), after which they move the property to the REIT to be more tax efficient. The CEO replied A-HTrust has a stapled structure because a REIT in Singapore is only allowed to earn passive income (rent) and is not allowed to have an operational business. For A-HTrust, some of its hotels are not under a master lease and run on management contracts instead – and therefore can’t be placed under the REIT. In other words, the trust operationally runs the hotel business for some of its hotels. The CEO continued and said that while running a hotel operation means taking on more business risk compared to a master lease, there is also an upside when demand and room rates increase.